Shinedown’s current album, Attention Attention was released in May, spawning the massive lead track, “Devil”, which has clocked up nearly 8 million views. 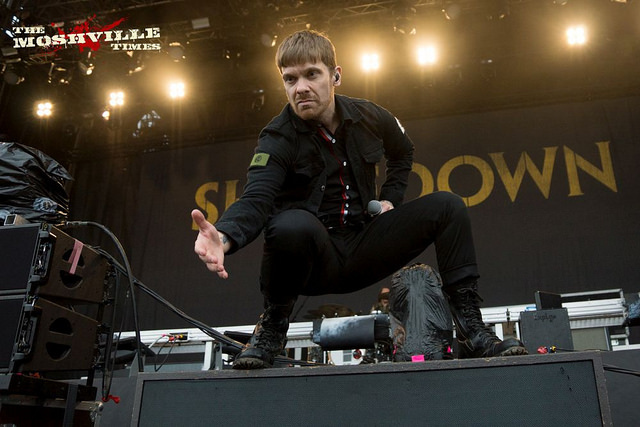 The 14-track album, Shinedown’s most raw and personal to date, is a mental, emotional and physical journey that follows an individual from life’s lowest lows to the highest highs, as anxieties dissipate and demons disappear. You can grab it online now, and you’ll really want to before seeing them live later this year! Support is from Starset and Press to MECO, and tickets go on sale this Friday August 10th. So if you’re at Bloodstock, make sure one of your mates gets them for you!